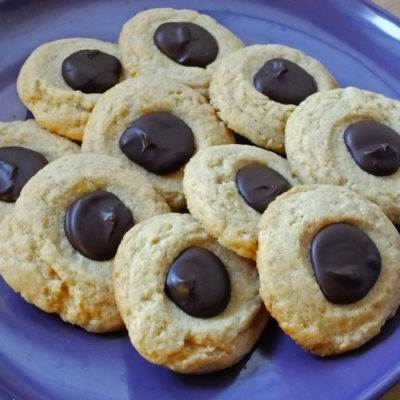 This is an easy recipe to do with older kids. 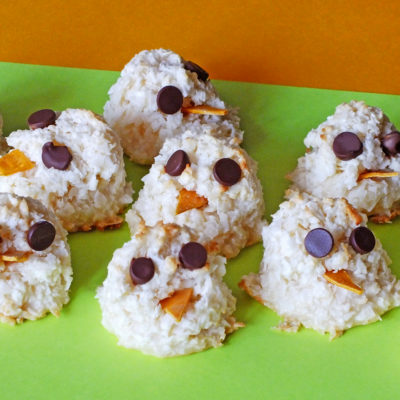 Have them help you position the eyes and beaks after the macaroons come out of the oven. 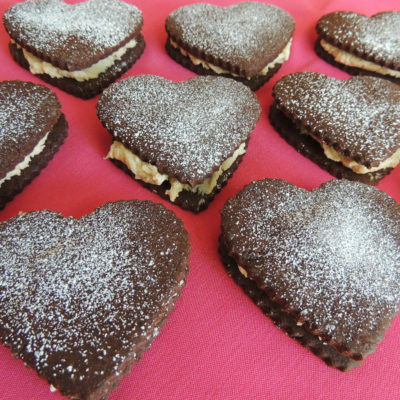 Surprise your sweetie with these sweet delights! 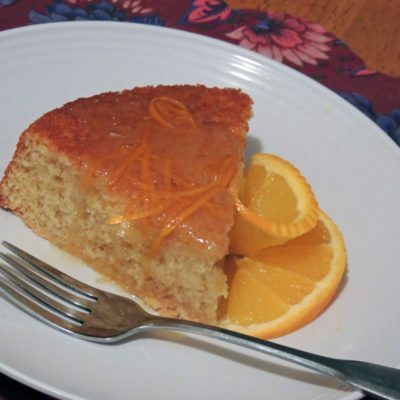 This lovely and easy cake is bursting with orange flavor. The sauce really takes it to the next dimension! 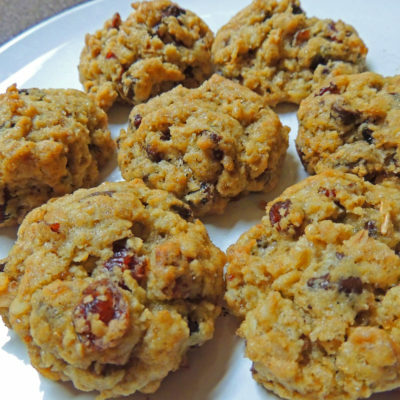 These cookies have a fun ingredient, granola! This helps give them a nice chunky texture. 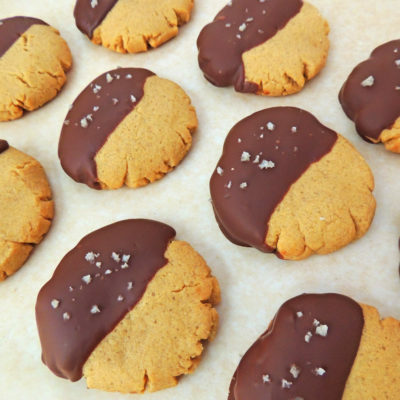 These cookies are full of orange flavor that goes so well with the chocolate center. Addictive! 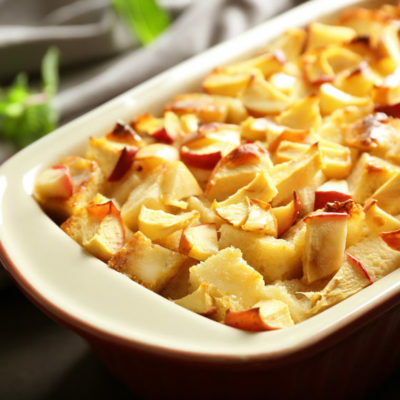 A comforting, satisfying end to a winter meal or a delicious beginning meal on the weekend. 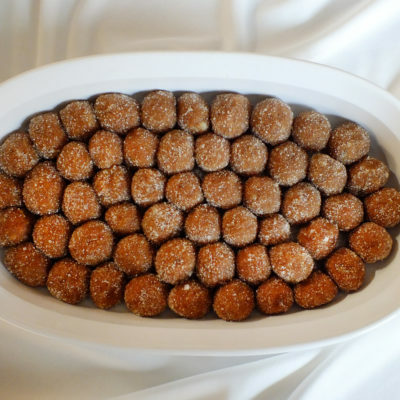 These whiskey balls are an old fashioned, adult treat, perfect for the holidays. 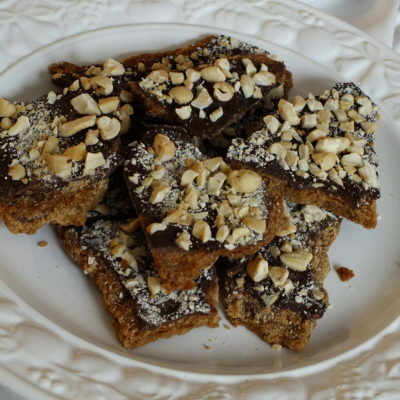 These toffee bars are rich and addictive. 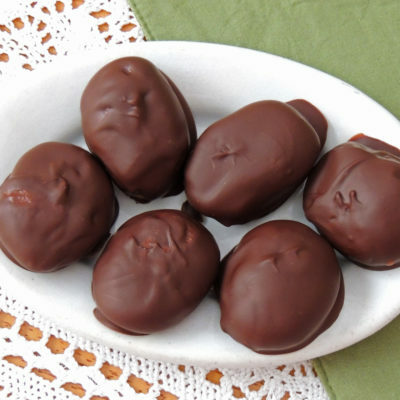 You can’t eat just one!